Attention BSN graduates: King University will offer two options to earn your Master of Science in Nursing degree for Fall 2018. The MSN-Family Nurse Practitioner meets each Thursday at the King University Kingsport campus on Main Street, with additional online components. The MSN-Pediatric Nurse Practitioner is offered in a primarily online format with classes meeting once a semester at our Hardin Valley campus in Knoxville also offering a Fall 2018 start. Both programs may be completed in 20 months. The application deadline is March 1. Please email admissions@king.edu for more information or apply online at http://apply.king.edu. 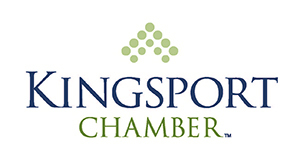 Let us know you heard about the programs from the Chamber newsletter and we will waive your application fee!